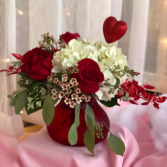 A beautiful combination of white hydrangea, red roses and wax flower in a red glass vase. 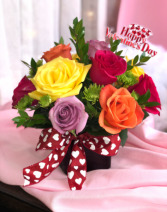 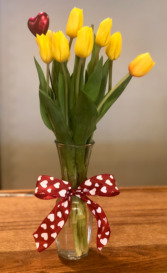 10 Beautiful Tulips arranged in a vase with Valentine’s Day pick and bow. 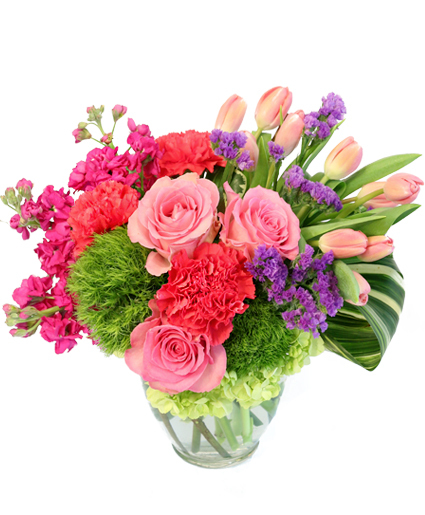 Colors of tulips will vary.